Are you finding it difficult to live your life the way you want to live it? Are you frustrated with people telling you not just what to do but also how to do it? Are you totally over fashion, and just want to do the things you enjoy? Then you too may be a dag. 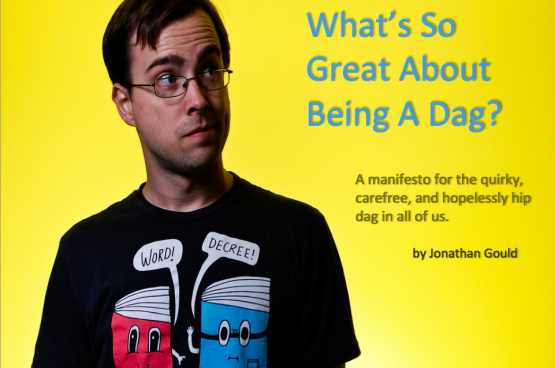 Just enter your email below and click ‘Subscribe’ to download the Dag Manifesto. If you find that being a dag isn’t quite right for you, no worries! You can unsubscribe at any time. But I’m willing to bet you’ll find you fit right in with the rest of us!